Old San Juan, properly known as San Juan Antiguo, is the oldest city in the U.S. and its territories. San Juan was settled in 1521 by the Spanish. It replaced "Caparra," Puerto Rico’s first settlement, as the island's capital. Child Friendly Attractions Vacationing with children requires good advanced planning. Having the right mix of activities can make travelling with children much easier. Below you will find a list of child friendly attractions to assist you in your planning. Whether you are only in Old San Juan for a few hours or an entire week, these are the sights that you won’t want to miss while you are here. 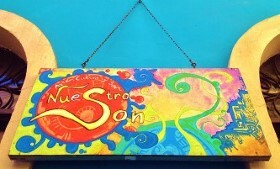 Are you looking to spend a half or full day in volunteering and service in San Juan? We have many ways in which you can serve, including hurricane relief. 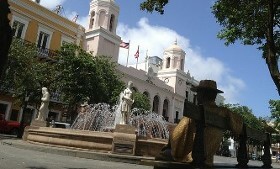 Today Old San Juan is a busy hub for tourism. San Juan is the Caribbean’s main cruise port and is home to more than 28 different cruise lines which bring millions of tourists to the city each year. You can tour the entire 465 year old city on foot. The forts El Morro and San Cristóbal are open to tourists and many of the 16th and 17th century houses and buildings have been restored to their original architectural splendor and now house various museums filled with fascinating history and artifacts that tell the story of this old city. 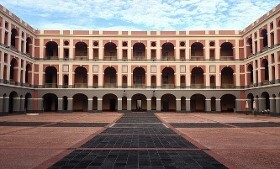 Old San Juan has more that 400 carefully restored buildings dating back to Spain’s colonization of the Island. Each one displays the city’s rich architectural heritage and history. Below is just a sampling of the many historical places you will find to explore. 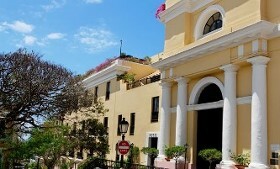 Old San Juan has a variety of upscale, mid-range, and budget-friendly lodging options to enjoy this old city and its many interesting and romantic streets. Please note that the cost of your stay varies depending on the time of year – summer and fall will always be more affordable than winter and spring prices. Keep in mind as well that some hotels tack on a parking fee. Make sure you call the hotel and ask questions before you book your stay. 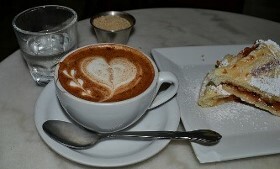 Old San Juan is a gastronome’s delight. The options are just about endless. Whether you are looking to sample the local fare or looking for a Latin fusion cuisine, you can find it in Old San Juan. For innovative, top of the line cuisine, head to the Sofo (South Fortaleza St) neighborhood. There you will find a trendy array of restaurants that blend traditional Latin American ingredients with more exotic flavors from Asia, Europe, and more. ¡Buen Provecho! 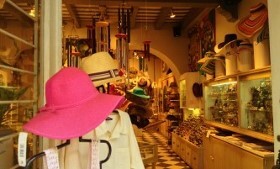 Old San Juan has a variety of shopping options - from souvenirs to factory outlets. There is something for everyone! Old San Juan is full of amazing bars many with live music, creative latin-flavored drinks, and plenty of dancing opportunities. For the beer connoisseur, there is Old Harbor Brewery, the only micro-brewery on the island, and Taberna Lúpulo, which serves up to 20 artisan brews and several beer-infused dishes. For those wishing to step out on the dance floor you can sample the authentic salsa music at Nuyorican Café or visit one of the other night clubs in Old San Juan for a variety of dance options. TourOldSanJuan.com, Vamonos Tours Inc., and Vamonos Puerto Rico Inc. are not responsible for losses and/or injuries due to any activity or tour booking you make using information on this site. Events, locations, and tours are subject to change and we have no control over this. Please use common sense and ask good questions when making travel arrangements. For more information, please see our terms and conditions.